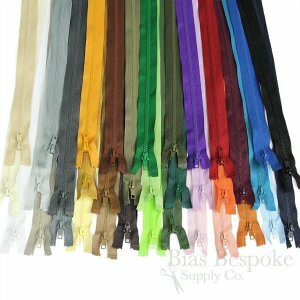 Size #5 zippers with strong molded plastic teeth and beautiful tape colors. 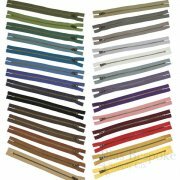 These have an closed end, and are a good length for pants and skirts. The puller slides easily along the teeth, and locks in place when flat so that the zipper can't gradually open on it's own. 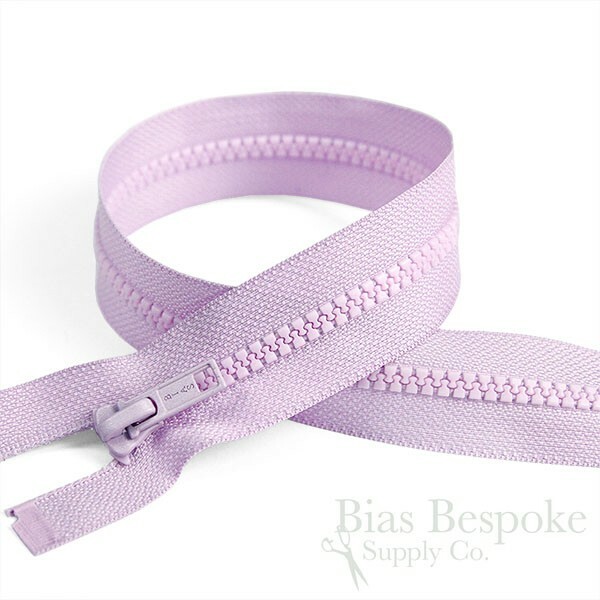 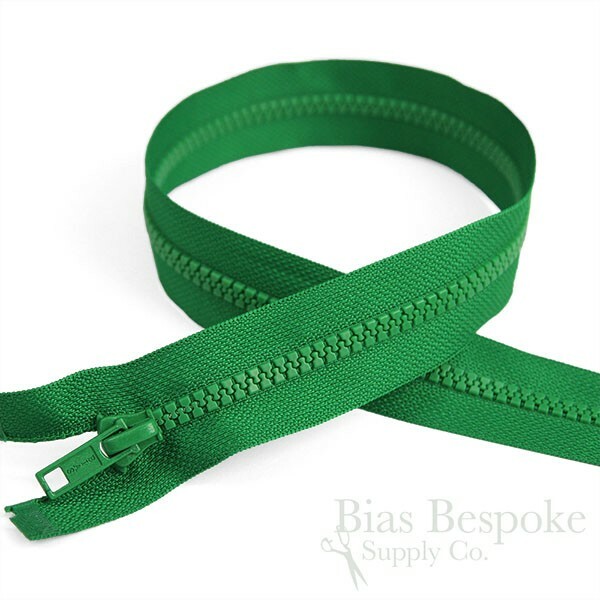 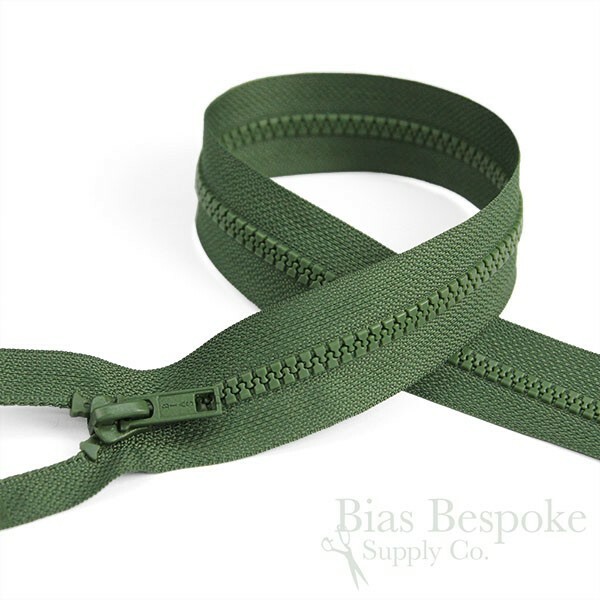 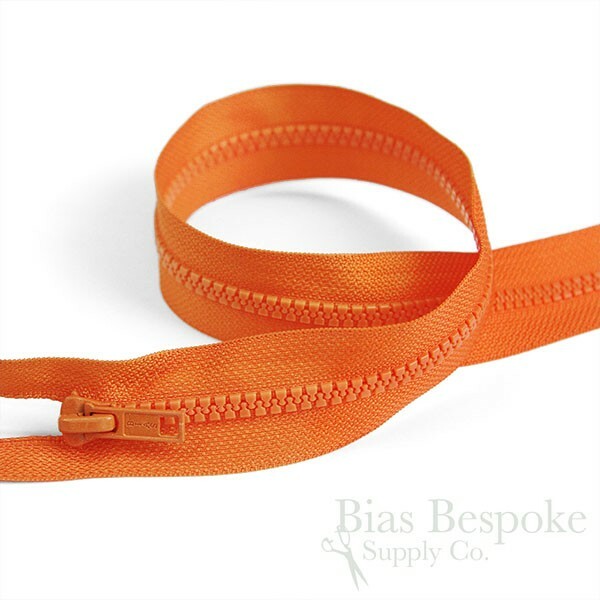 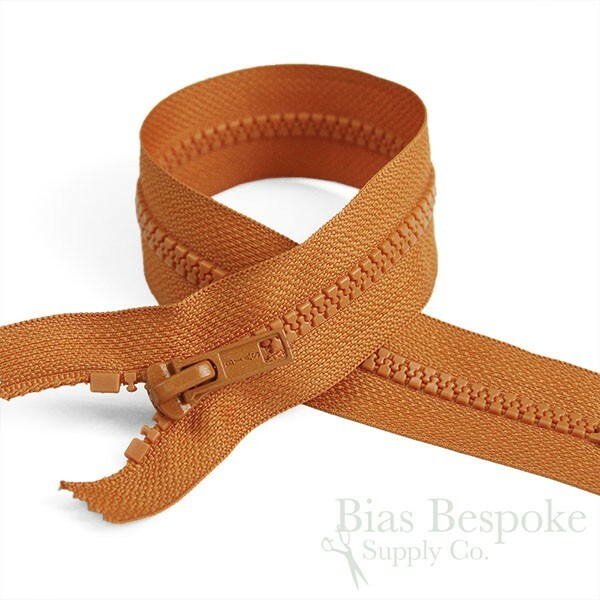 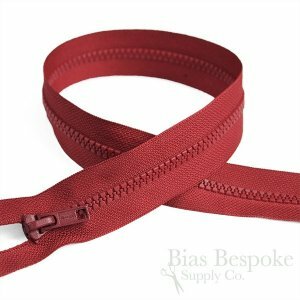 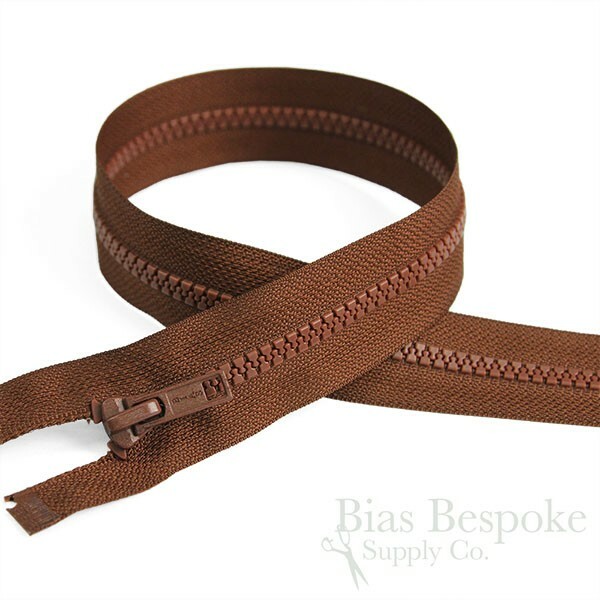 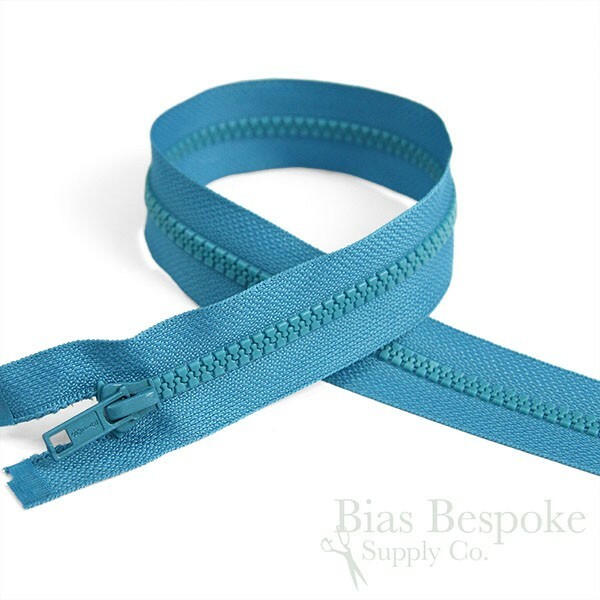 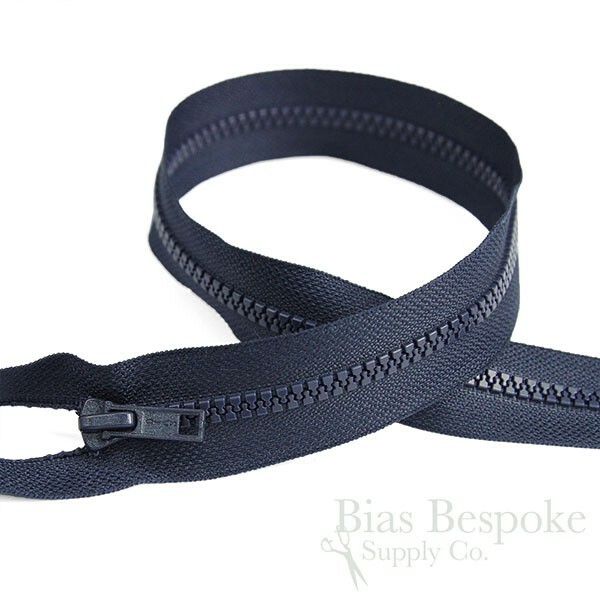 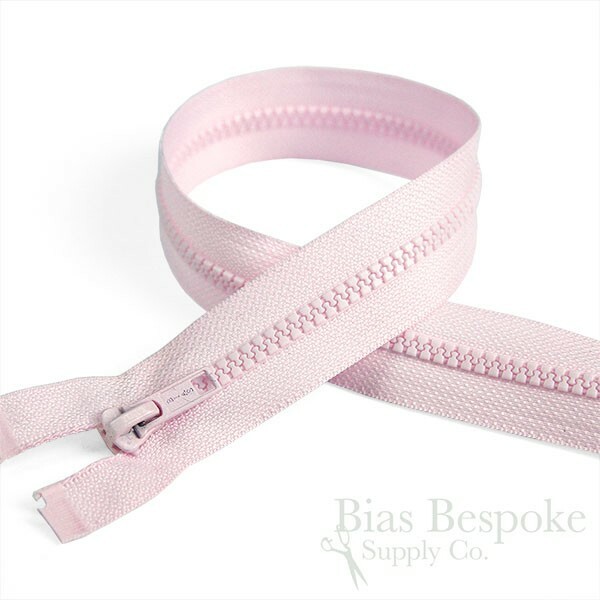 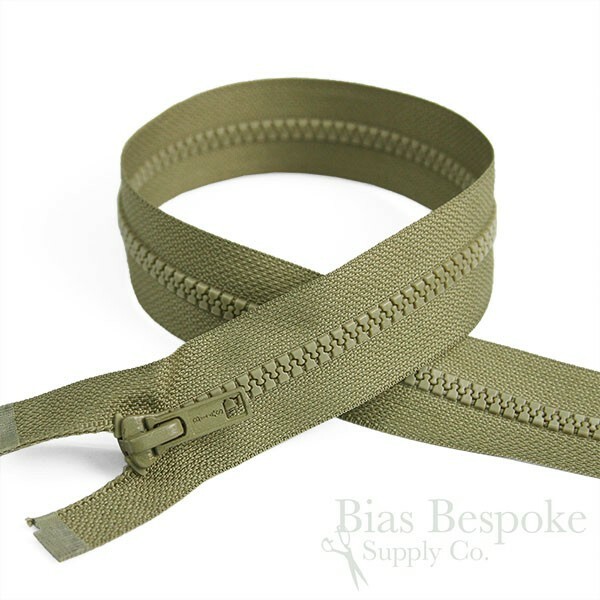 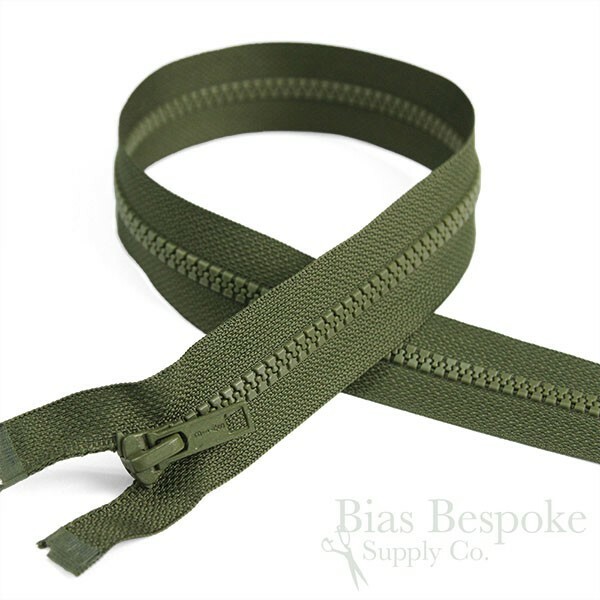 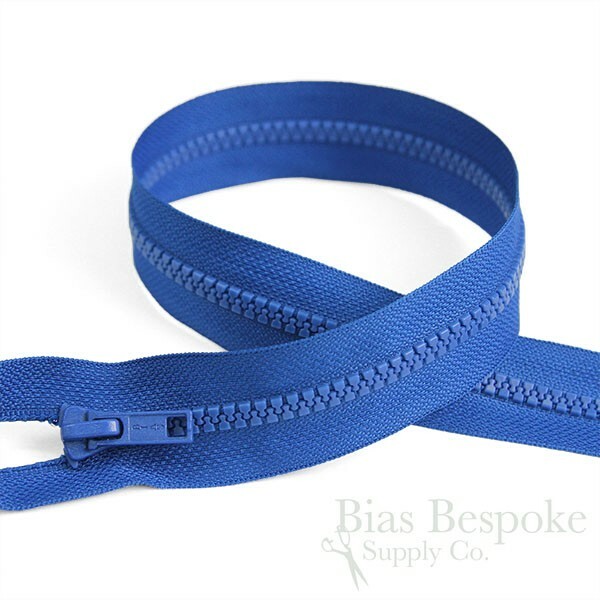 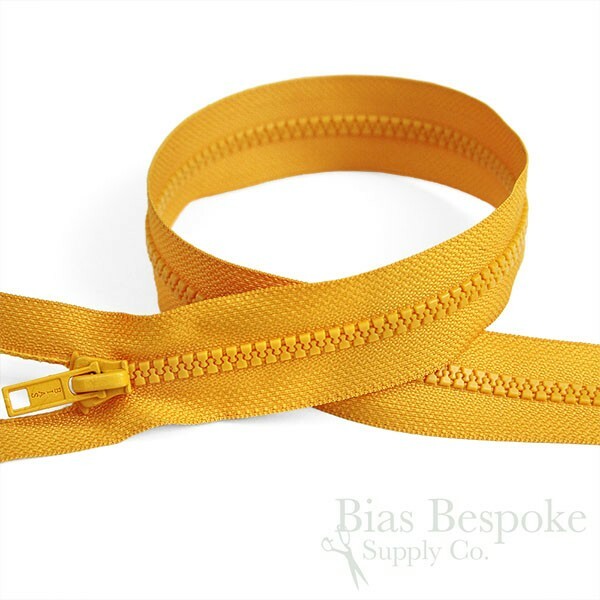 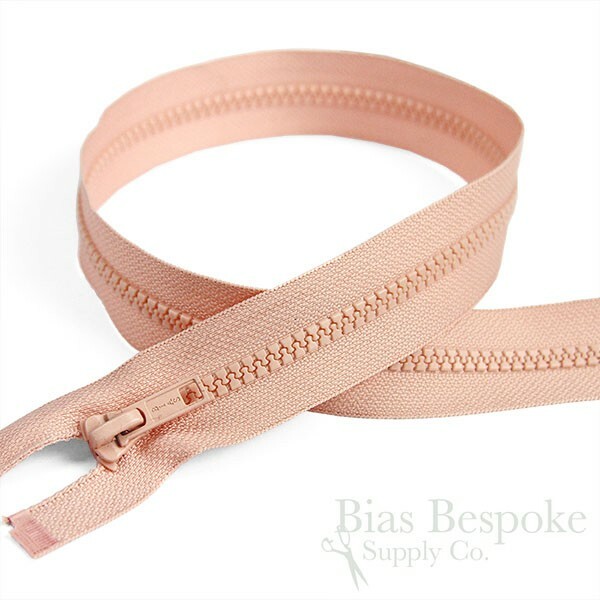 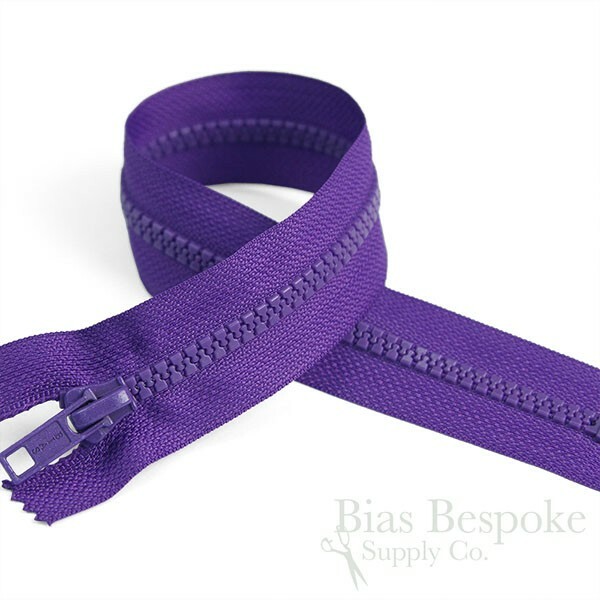 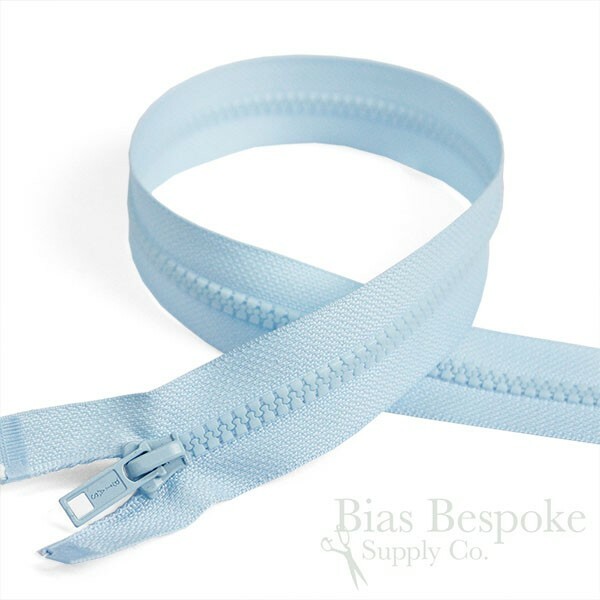 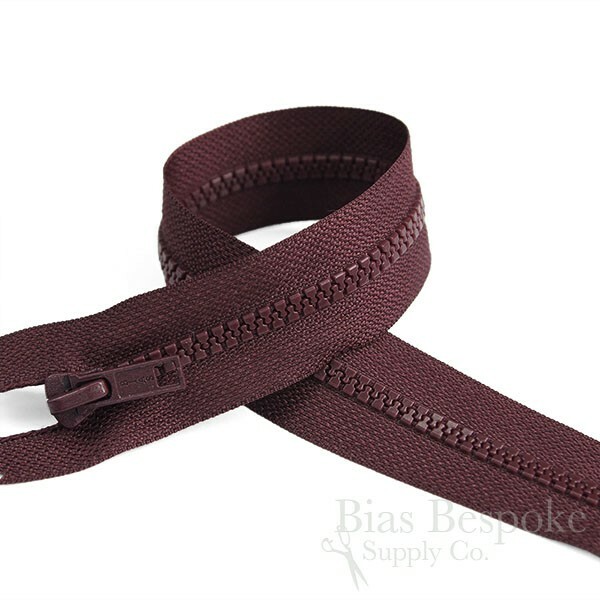 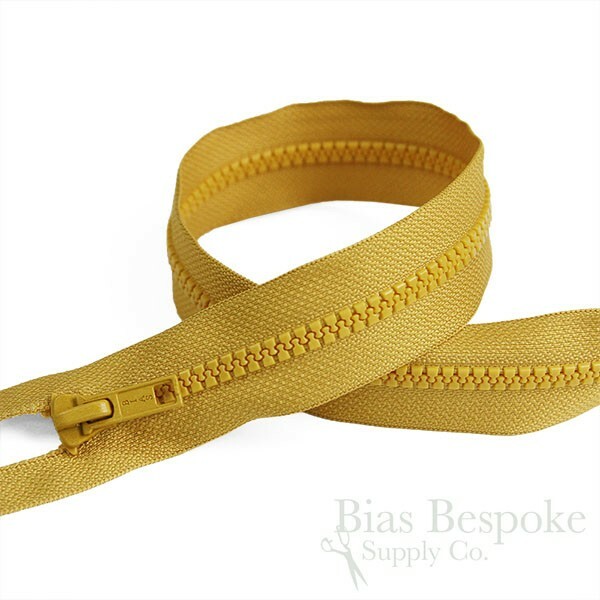 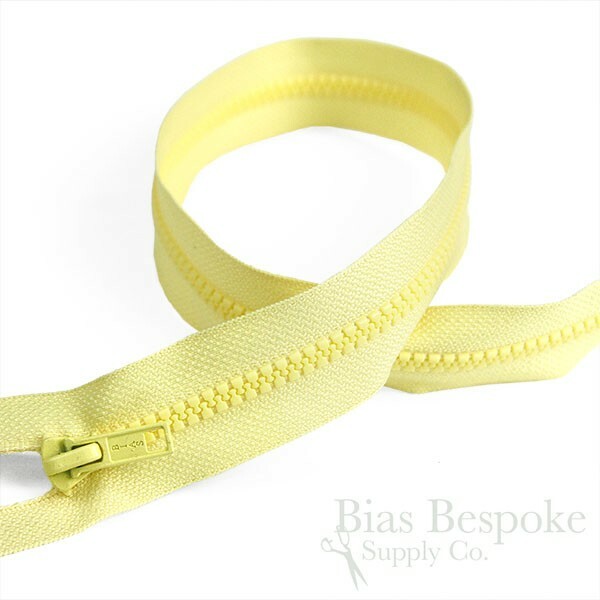 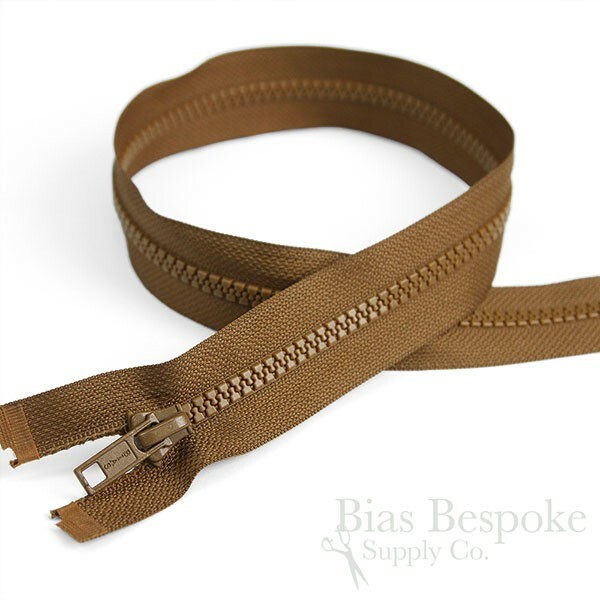 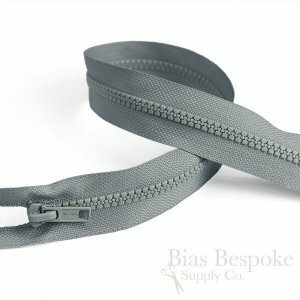 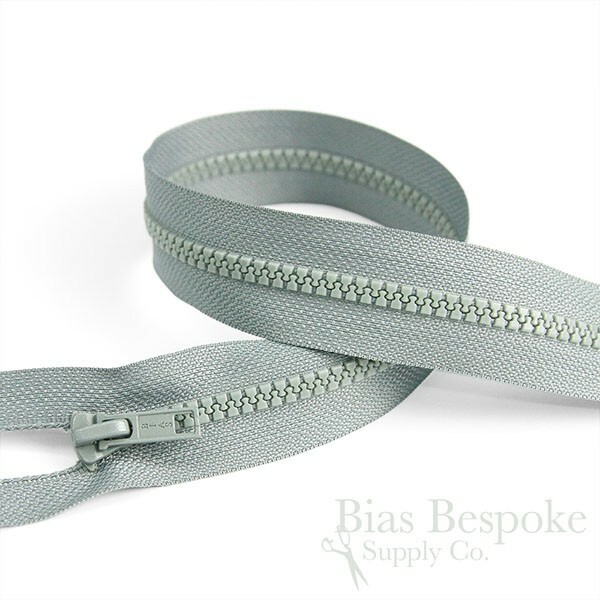 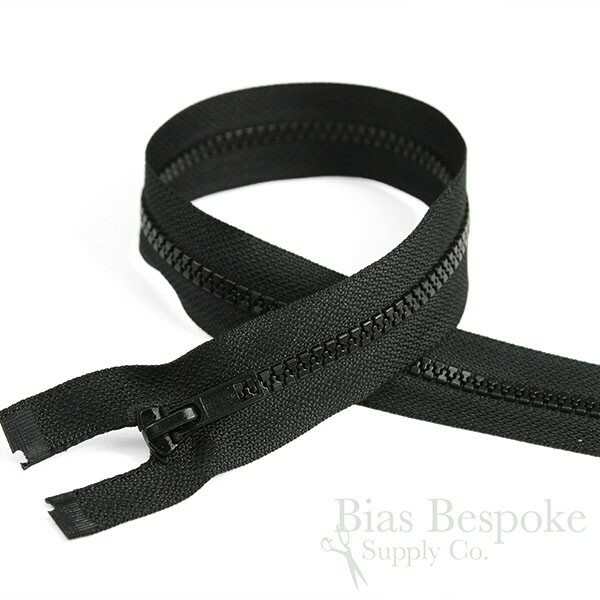 They're our Bias Bespoke brand, and have a small "BIAS" engraved into the puller. 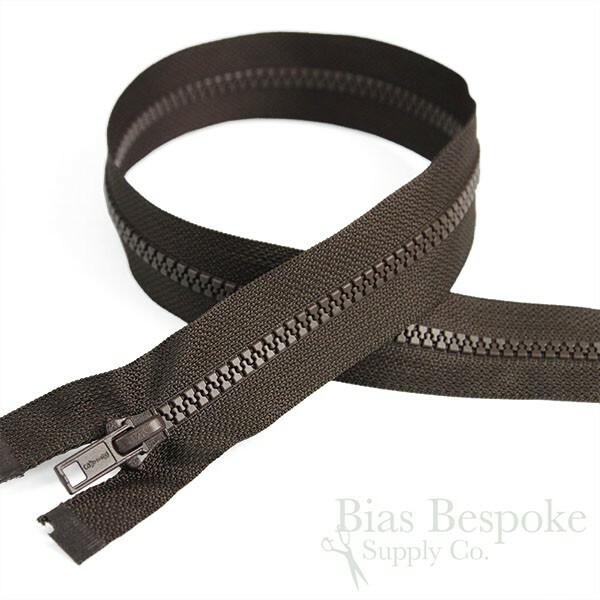 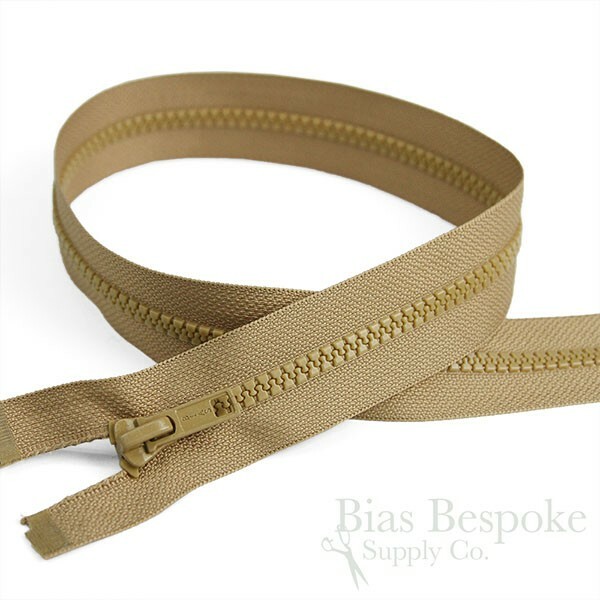 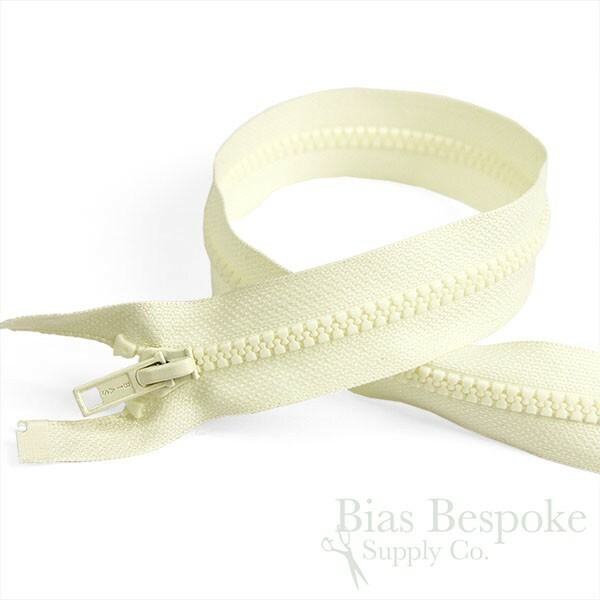 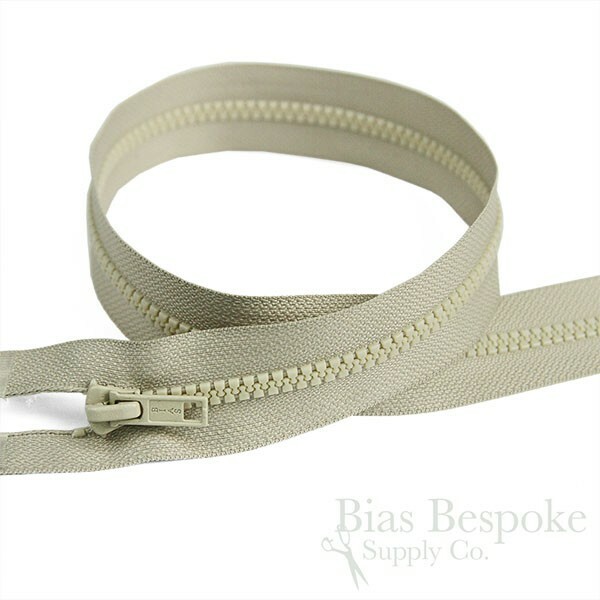 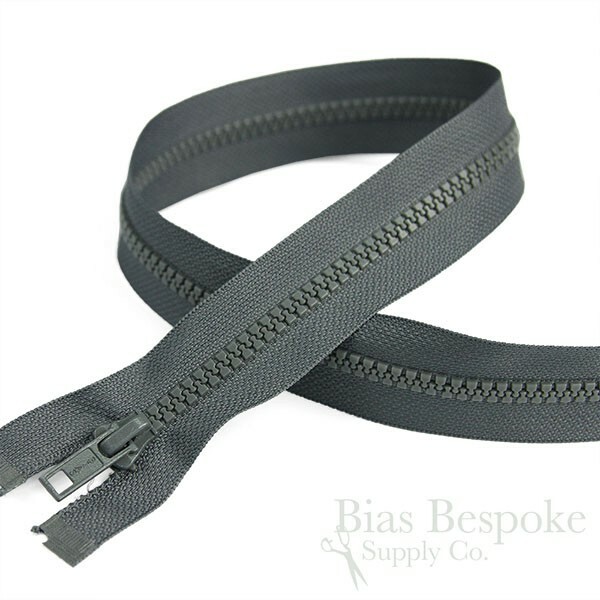 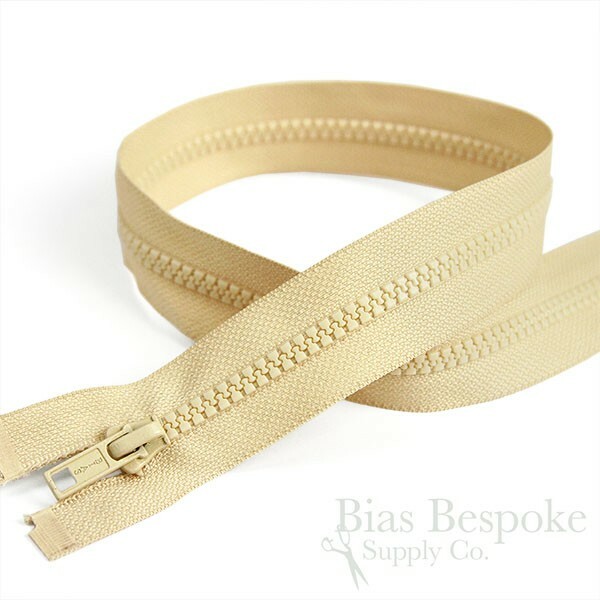 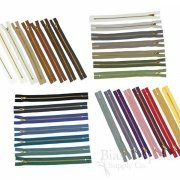 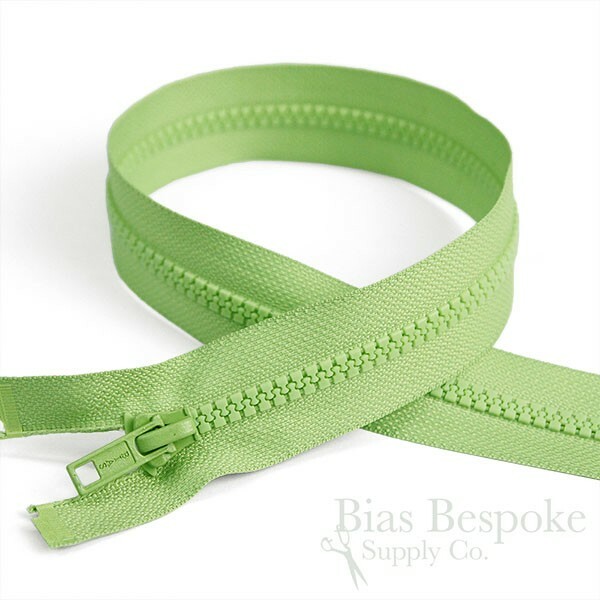 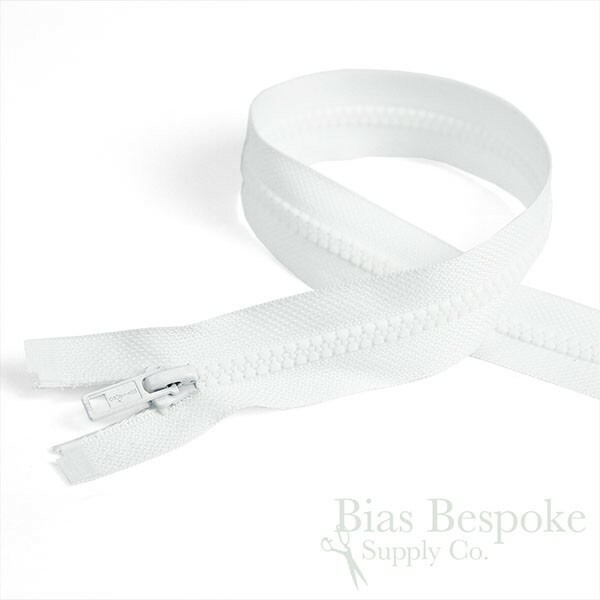 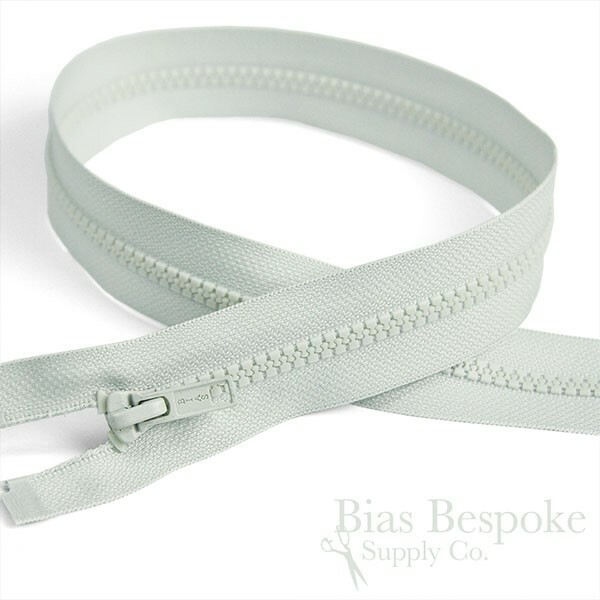 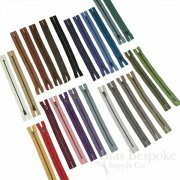 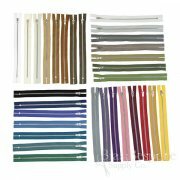 We also carry these zippers in six lengths with an open end, 18", 20", 22", 24", 26", and 28". 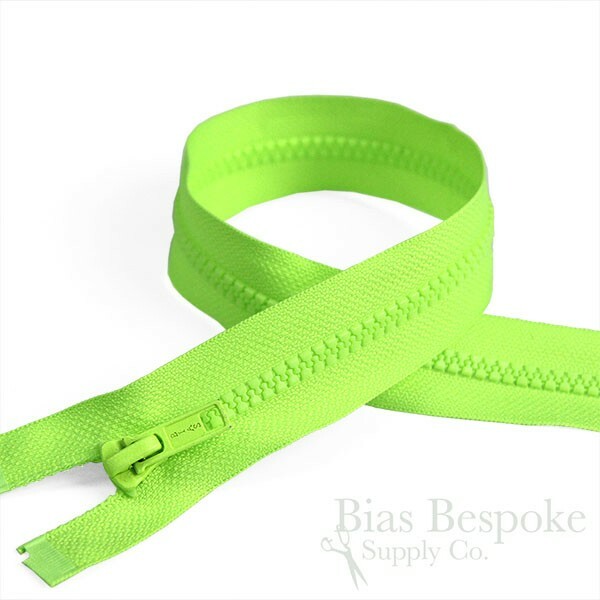 They can be easily shortened from the top or bottom of the zipper.